HP 131A (CF210A CF211A CF212A CF213A) 4 Color Set toner cartridge features latest laser print technology and provides fast reliable high-quality prints. Cartridge is compatible with HP Pro 200 color LaserJet MFP M276n M276nw M251n etc printers and yields up to 1600 & 1800 Each pages. 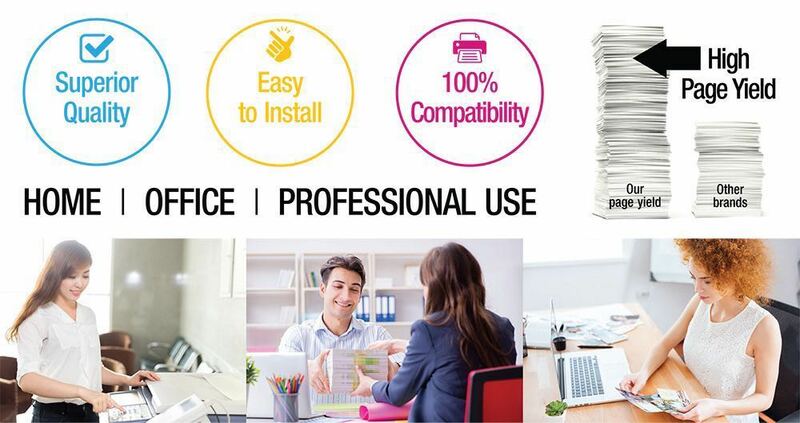 Compatible with: Color LaserJet Pro 200 M251n Pro 200 M251nw Pro 200 M276 Pro 200 M276n Pro 200 M276nw etc. These are the way to go if you print a lot. I had these toner print out hundreds of pages at once without any sort of smudging or quality differences at all. I have already ordered one more set as replacements. These Compatible toner cartridges works great in my HP printer. Sometimes Compatible toner cartridges do not perform well on some printers...but these toner cartridges work just fine! I highly recommend it. Good toner cartridges for the price & great to get all colors at once. I print a lot as I work from home so I am glad to have something that has a long life. Shipped and received as expected time- currently printing dozens of student reports - would purchase again. Much cheaper than the toner sold at the other office stores. The quality of the print is good and I have had no problems with these items. Perfectly happy with this purchase. However I would like to request the company send labels for shipping old cartridges back for recycle. Can't tell for sure until months from now when the use life of cartridge can be determined. But good for now.